Aqueduct is a modern Dart HTTP server framework. The framework is composed of libraries for handling and routing HTTP requests, object-relational mapping (ORM), authentication and authorization (OAuth 2.0 provider) and documentation (OpenAPI). These libraries are used to build scalable REST APIs that run on the Dart VM. If this is your first time viewing Aqueduct, check out the tour. Open the project directory in IntelliJ IDE, Atom or Visual Studio Code. All three IDEs have a Dart plugin. For IntelliJ IDEA users, there are file and code templates for Aqueduct. Step-by-step tutorials for beginners are available here. You can find the API reference here or you can install it in Dash. You can find in-depth and conceptual guides here. An ever-expanding repository of Aqueduct examples is here. If you are migrating from Aqueduct 2.5 to Aqueduct 3.0, see the migration guide. Fixes issue when using QueryReduce inside a transaction. Adds read method to Serializable for filtering, ignoring or rejecting keys. Adds Validate.constant to properties that use the @primaryKey annotation. Allows Validate annotations to be added to belongs-to relationship properties; the validation is run on the foreign key. Allows any type - e.g. Map<String, dynamic> - to be bound with Bind.body. Adds the implicit authorization grant flow via the AuthRedirectController type. Deprecates AuthCodeController in favor of AuthRedirectController. Improves error messaging of the CLI; no longer includes stack trace for expected errors. Adds ManagedContext.insertObject, ManagedContext.insertObjects and ManagedContext.fetchObjectWithID. Adds Serializable.documentSchema instance method. Removes Serializable.document static method. Controller is now an abstract class that requires implementing handle. This is a minor breaking change that should not have an impact. Removes aqueduct setup --heroku=<name> and instead points to documentation. Adds BodyDecoder.decode<T> and BodyDecoder.as<T>. This replaces existing decodeAs* and as* methods. Adds ManagedContext.transaction to enable queries to be run in a database transaction. Adds 'Scope' annotation to add granular scoping to ResourceController methods. Adds Recyclable<T> to control whether controllers are instantiated per request or are reused. Adds support for storing PostgreSQL JSONB data with Document data type. Adds support for OpenAPI 3.0.0 documentation generation. Removes PackagePathResolver, ApplicationOptions.isDocumenting and APIDocumentable. Query.where behavior has changed to consistently use property selector syntax. Removes methods like whereEqualTo and replaced with QueryExpression. Controller.generate renamed to Controller.link. Removed Controller.pipe. package:aqueduct/test moved to package:aqueduct_test/aqueduct_test, which is a separate dependency from aqueduct. Renames methods in AuthDelegate to provide consistency. Removes ManagedContext.defaultContext; context usage must be explicit. Removes HTTPResponseException. Responses can now be thrown instead. QueryExceptions are no longer thrown for every ORM exception. If a store chooses to interpret an exception, it will still throw a QueryException. Otherwise, the underlying driver exception will be thrown. Default constructor for PostgreSQLPersistentStore now takes connection info instead of closure. Change default port for aqueduct serve to 8888. Binding metadata - HTTPPath, HTTPBody, HTTPQuery and HTTPHeader - have been changed to Bind.path, Bind.body, Bind.query and Bind.header, respectively. Remove @httpGet (and other HTTPMethod annotations) constants. Behavior replaced by @Operation. Removes runOnMainIsolate from Application.start() and added Application.startOnMainIsolate() as replacement. Replace constructor and willOpen with prepare. Removes AuthStrategy in place of AuthorizationParser<T>. Adds concrete implementations of AuthorizationParser<T>, AuthorizationBearerParser and AuthorizationBasicParser. Removes AuthValidator.fromBearerToken and AuthValidator.fromBasicCredentials and replaces with AuthValidator.validate<T>. Adds aqueduct db schema to print an application's data model. Adds aqueduct document serve that serves the API documentation for an application. Adds --machine flag to aqueduct tool to only emit machine-readable output. Adds defaultDelay to MockHTTPServer. Defaults to null for no delay. Adds defaultResponse to MockHTTPServer. Defaults to a 503 response instead of a 200. Adds option to set a custom delay for a specific response in MockHTTPServer's queueResponse function. Adds HTTPRequestBody.maxSize to limit HTTP request body sizes. Defaults to 10MB. Adds ManagedTableAttributes to configure underlying database table to use multiple columns to test for uniqueness. Adds Request.addResponseModifier to allow middleware to modify responses. Adds Response.bufferOutput to control whether the HTTP response bytes are buffered. Adds whereNot to apply an inverse to other Query.where expression, e.g. whereNot(whereIn(["a", "b"])). Fixes bug where subclassing ManagedObjectController didn't work. Improves feedback and interface for package:aqueduct/test.dart. Adds Request.acceptableContentTypes and Request.acceptsContentType for convenient usage of Accept header. Adds AuthStorage.allowedScopesForAuthenticatable to provide user attribute-based scoping, e.g. roles. Adds Query.forEntity and ManagedObjectController.forEntity to dynamically instantiate these types, i.e. use runtime values to build the query. Adds PersistentStore.newQuery - allows a PersistentStore implementation to provide its own implementation of Query specific to its underlying database. Adds Query.reduce to perform aggregate functions on database tables, e.g. sum, average, maximum, etc. enums may be used as persistent properties in ManagedObject<T>. The underlying database will store them a strings. Speed of generating a template project has been greatly improved. Adds ApplicationMessageHub to send cross-isolate messages. Allow HTTPCodecRepository.add to use specify default charset for Content-Type if a request does not specify one. The default template created by aqueduct create is now mostly empty. Available templates can be listed with aqueduct create list-templates and selected with the command-line option --template. Bug fixes where aqueduct auth would fail to insert new Client IDs. joinMany and joinOne are deprecated, use join(set:) and join(object:) instead. HTTPCodecRepository replaces Response.addEncoder and HTTPBody.addDecoder. Streams may now be Response bodies. Request bodies may be bound in HTTPController with HTTPBody metadata. Adds file serving with HTTPFileController. Adds HTTPCachePolicy to control cache headers for a Response. Request.body has significantly improved behavior and has been optimized. Adds ResourceRegistry: tracks port-consuming resources like database connections to ensure they are closed when an application shuts down during testing. Adds validation behavior to ManagedObjects using Validate and ManagedValidator and ManagedObject.validate. ManagedObjects now have callbacks willUpdate and willInsert to modify their values before updating and inserting. Fixes issue with aqueduct serve on Windows. Enables database migrations past the initial aqueduct db generate. Remove SecurityContext reference from ApplicationConfiguration. SSL configured via new aqueduct serve arguments ssl-key-path and ssl-certificate-path, or overriding securityContext in RequestSink. Fixes issue where an object cannot be inserted without values; this matters when the inserted values will be created by the database. Added RequestController.letUncaughtExceptionsEscape for better debugging during tests. Persistent types for ManagedObjects can now have superclasses. ManagedRelationships now have a .deferred() constructor. This allows ManagedObjects to have relationships to ManagedObjects in other packages. Added RequestSink.initializeApplication method to do one-time startup tasks that were previously done in a start script. RequestSink constructor now takes ApplicationConfiguration, instead of Map. Improved error reporting from failed application startups. Automatically lowercase headers in Response objects so that other parts of an application can accurately read their values during processing. Added HTTPBody object to represent HTTP request bodies in Request. Decoders are now added to this type. ORM: Renamed Query.matchOn to Query.where. ORM: Removed includeInResultSet for Query's, instead, added joinOn and joinMany which create subqueries that can be configured further. ORM: Allow Query.where to reference properties in related objects without including related objects in results, i.e. can fetch Parent objects and filter them by values in their Child relationships. ORM: Joins can now be applied to belongsTo relationship properties. ORM: Matchers such as whereNull and whereNotNull can be applied to a relationship property in Query.where. ORM: Renamed ManagedSet.matchOn to ManagedSet.haveAtLeastOneWhere. ORM: Added matchers for case-insensitive string matching, and added case-insensitive option to whereEquals and whereNotEquals. Auth: Added aqueduct/managed_auth library. Implements storage of OAuth 2.0 tokens using ManagedObjects. See API reference for more details. Auth: Improved error and response messaging to better align with the OAuth 2.0 spec, especially with regards to the authorization code flow. Auth: Added distinction between public and confidential clients, as defined by OAuth 2.0 spec. Auth: Improved class and property naming. Tooling: Added aqueduct auth tool to create client ID and secrets and add them to a database for applications using the aqueduct/managed_auth package. Tooling: Added more user-friendly configuration options for aqueduct db tool. Tooling: Added aqueduct setup --heroku for setting up projects to be deployed to Heroku. Tooling: Added aqueduct serve command for running Aqueduct applications without having to write a start script. Tooling: Added aqueduct document command to generate OpenAPI specification for Aqueduct applications, instead of relying on a script that came with the template. BREAKING CHANGE: Added new Response.contentType property. Adding "Content-Type" to the headers of a Response no longer has any effect; use this property instead. ManagedDataModels now scan all libraries for ManagedObject<T> subclasses to generate a data model. Use ManagedDataModel.fromCurrentMirrorSystem to create instances of ManagedDataModel. The last instantiated ManagedContext now becomes the ManagedContext.defaultContext; prior to this change, it was the first instantiated context. Added ManagedContext.standalone to opt out of setting the default context. @HTTPQuery parameters in HTTPController responder method will now only allow multiple keys in the query string if and only if the argument type is a List. Fix to allow Windows user to use aqueduct setup. HTTPControllers now return 405 if there is no responder method match for a request. Fix type checking for transient map and list properties of ManagedObject. Add flags to Process.runSync that allow Windows user to use aqueduct executable. Change behavior of isolate supervision. If an isolate has an uncaught exception, it logs the exception but does not restart the isolate. This example demonstrates an HTTP application that uses the ORM and ORM-backed OAuth2 provider. 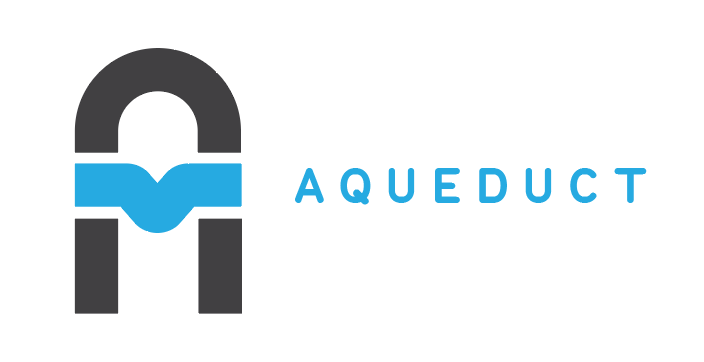 For building and running non-example applications, install 'aqueduct' command-line tool. Primary library: package:aqueduct/aqueduct.dart with components: io, isolate, mirrors.